Where can I find materials and resources? The National Archives is the home of all state papers including material about the government and armed forces. The National Archives has excellent study guides for First World War material which can be viewed on its website. The Imperial War Museum also has an extensive archive of personal records such as diaries and letters, books, photographs, films, posters and works of art. Its collection can be searched through its website. The British Library World War One website provides sources, teachers notes and articles written by historians. Local war memorials - These are often a good starting point for projects on the military dead and you can find information and support from the War Memorials Trust. The British Association for Local History provides a useful guide to researching communities and war memorials. County/borough and city archives - These hold a mix of materials including official papers such as local government and ecclesiastical records, and personal collections. Each county record office in the UK has its own website and searchable catalogue. Alternatively, you can access them at Access to Archives (A2A). The Europeana project is digitising a wide range of material including sources from the India Office collection. Newspapers - Local newspapers give a great snapshot of life in a particular district and can reveal how people lived with the war and the intrusions it made into their lives. Many libraries subscribe to digitised newspaper collections. The British Newspaper Archive also contains information on digitised newspapers, which can be accessed for a fee. Newsreels, or Topicals as they were known during the war, can be viewed on the British Pathe and British Movietone websites. Some digitised film material can also be viewed at the British Film Institute Library. The British Library holds a large collection of oral history sound recordings. Search the catalogue and access a number of recordings online. The European Film Gateway provides access to hundreds of thousands of film historical documents as preserved in European film archives. 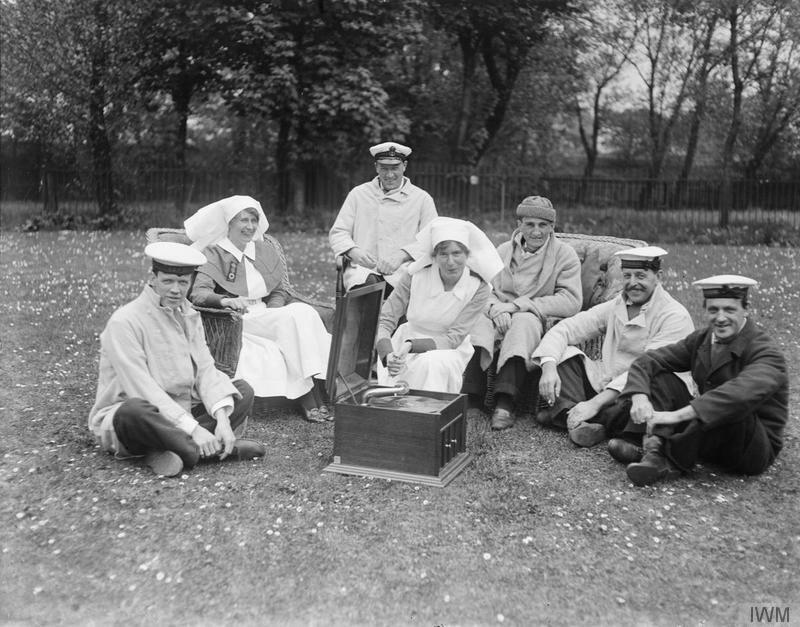 © IWM (Q 18948) Nurses accompany convalescent patients in listening to a gramophone on the grounds of the Royal Naval Hospital, Granton.